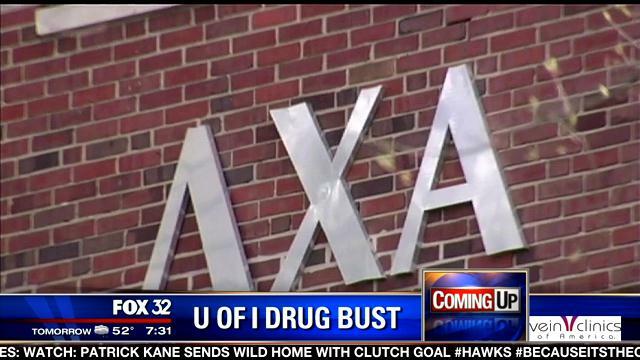 CHAMPAIGN, Ill. (FOX 32) – Seven students at the University of Illinois were arrested in a major drug bust Thursday night. Police say the arrests were made after police searched two senior student homes linked to the Lambda Chi Alpha fraternity. Investigators say they found more than 400 doses of ecstasy, LSD and cocaine during their late-night search of the homes. According to FOX 55 Illinois, detectives had been tracking the fraternity and building their case for some time. Officers said they were not surprised by what they found. Officers say the amount of drugs seized was so large, police have not yet been able to put a street value on it. Most of the seven students arrested are facing felony drug charges.